As one of the trailblazing real estate entities in India, EMGEE GROUP has been spearheading path breaking initiatives in luxurious comfort through spacious contemporary apartments and state-of-the-art villas laced with modern crafts and exceptional vistas. Emgee Group has therefore emerged as one of the most renowned developers of luxurious properties and second homes in India. Founded by Mudhit Gupta, with over two decades of experience in luxury real estate, EMGEE creates a blend of sharp design aesthetics, cutting edge technology and stellar innovation to consistently raise the bar for luxury living at great addresses. Today the Group has constructed over 3 million square feet of residential and commercial real estate across Mumbai, Khandala and Goa. Powered by his passion to build people's dreams, he has traced an enviable trajectory for his company. Having completed an enviable portfolio of exclusive real estate projects across Maharashtra and Goa, EMGEE has now embarked on an uber luxury, premium real estate endeavor with Project Naira which showcases modern villas designed by Gauri Khan. This exquisite villa project offers premium facilities at a prime location with spectacular sea views. 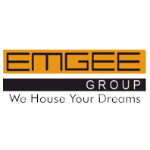 Establishing Emgee Group as one of the finest Luxury Property Developers in Goa. Powered by extensive experience in the business, the objective of Emgee Group's projects is to ferret and offer the best to clients through an exhaustive matrix of land banks and locations eventually shaping up to become the most coveted addresses. This objective to offer coveted addresses brings us to the second live project by Emgee Group, Project Anatam located in Dona Paula, Goa. Anantam summarises a unique blend of luxurious apartments, with 180 degree panoramic sea views, at a sought after recreational and residential destination in Goa. With the above on-going opulent projects in prime locations, EMGEE Group still proudly stands as a debt free entity. The Group firmly believes in the exemplary, with unparalleled finesse and realization of planned projects within pre-determined time frames. EMGEE Group has constantly reiterated its responsible commitment towards conserving the environment. In keeping with this honest effort, the Group has pioneered several eco-friendly projects as part of its expanding portfolio, winning international recognition for its endeavours.